Apart from two new Pixel 3 phones, Google also rolled out a bunch of shiny new gadgets covering the Pixel Slate, Home Hub, Pixel Stand, Pixel USB-C earphones and an updated Chromecast dongle. The Pixel Slate is the sort of hybrid that functions as a tablet and is also perfectly happy to serve as a laptop. The Chrome OS-based device costs upwards of $599, while the trackpad-sporting keyboard dock which transforms it into a notebook is priced at $199. 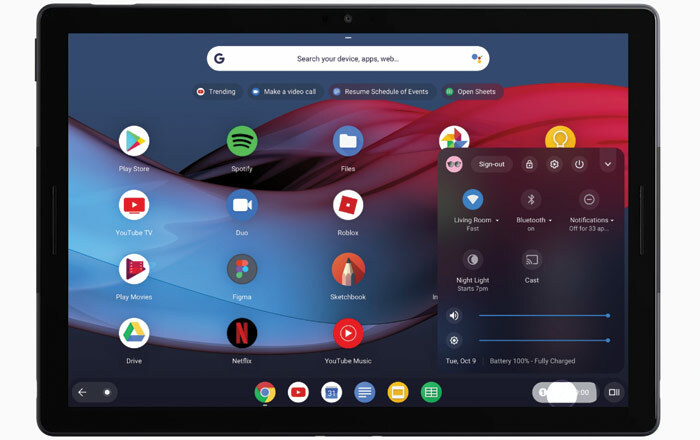 The base model of the Pixel Slate features an Intel Celeron processor along with 4GB/8GB RAM and a 32GB/64GB SSD. The one that costs $799 and upwards is fitted with an 8th gen Intel Core m3 chipset, 8GB RAM and 64GB storage. For $999 or more, you get 8GB RAM, a 128GB SSD and an 8th generation Intel Core i5 processor. If you prefer something much fancier, be prepared to shell out at least $1599 for an 8th gen Intel Core i7 CPU, 256GB memory and 16GB RAM. The tablet itself is reasonably light at around 1.6 pounds. Its screen measures 12.3 inches, but is unfortunately of the LCD type. The display lists 72% NTSC color reproduction, 293ppi sharpness and Pixelbook Pen support as its key features. The latter will be sold as a standalone peripheral for $99, by the way. The main specs of the Pixel Slate cover a 48Wh battery, an 8MP camera, a fingerprint sensor, an absentee headphone jack, two USB Type-C ports, dual front speakers and a 7mm thin profile. Google has not revealed a release date for the Pixel Slate. All we know is that it will be sold later this year through the company’s online store. 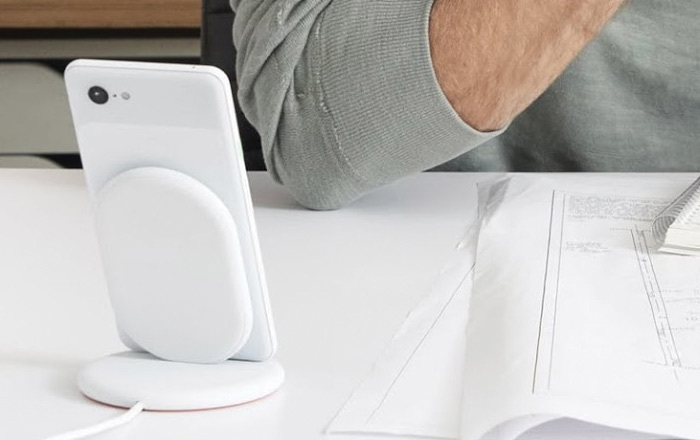 Another unsurprising reveal at the Pixel event was the long rumored Google Home Hub. 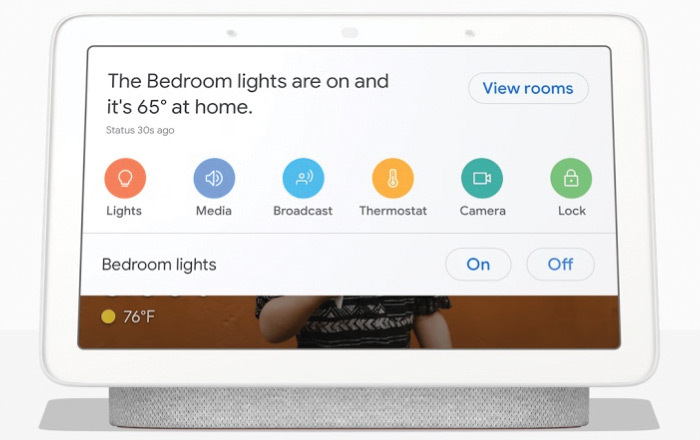 It’s basically a 7-inch display powered by Google Assistant for controlling all your smart home devices. It does not integrate a camera for enabling video calls, but otherwise offers the usual stuff you’d expect from a typical, countertop smart display. It allows the user to voice-control smart bulbs, security cameras, TVs, thermostats and more. It also comes in handy for conveniently setting reminders, looking up stuff on the Internet, playing music and so on from a central hub in a living space. Google has priced it at $150 and will sell it starting October 22, in four inoffensive pastel shades. Check out the whole list of new ‘Made by Google’ devices here.